Staff and Board – Girls Rock Vermont! Linda Bassick began reading music shortly after learning to read words, playing the clarinet and then baritone horn for many years in a competitive marching band in the Boston area. 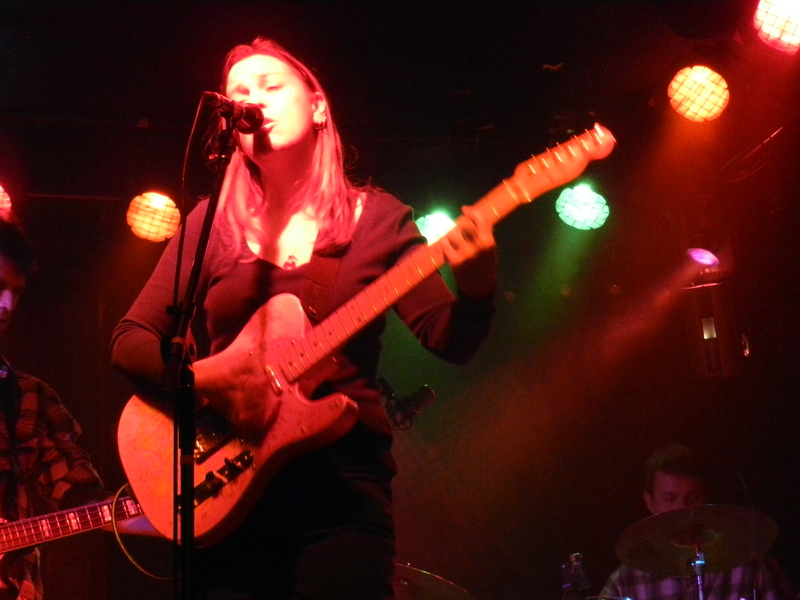 She finally picked up a guitar at the age of 19 and as an adult has added flute and trombone to her repertoire. She received her BS in Early Childhood Education from North Adams State College (MCLA) and holds a teaching certificate for K-3. She recently retired from doing a high quality Birth- Three childcare program 3 days a week in her home for 11 years. She has played in many bands where she was the ONLY woman, Currently she is a member of the Burlington based 60’s tribute band, Mellow Yellow, and has been seen around town playing with the 7 piece, all woman band, Steady Betty. Linda has played music for children for MANY years! She has been playing kids music every friday at the Radio Bean since January of 2013. Linda came to GRVT in the first year as a lunch time performer and facilitator of the panel of women performers for the final day of camp. In years two and three Linda was guitar instructor and band coach.